When this work was first published in 1960, it immediately filled a void in Kantian scholarship. It was the first study entirely devoted to Kant's Critique of Practical Reason and by far the most substantial commentary on it ever written. This landmark in Western philosophical literature remains an indispensable aid to a complete understanding of Kant's philosophy for students and scholars alike. This Critique is the only writing in which Kant weaves his thoughts on practical reason into a unified argument. 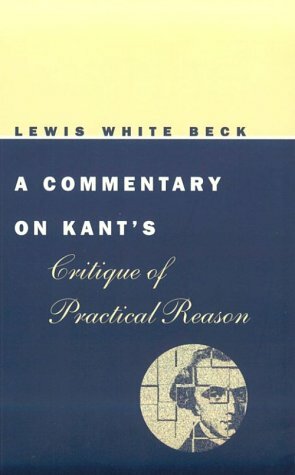 Lewis White Beck offers a classic examination of this argument and expertly places it in the context of Kant's philosophy and of the moral philosophy of the eighteenth century. The Writing of the "Critique of Practical Reason"
Texts of "Kritik der Praktischen Vernunft"
Translations of the "Critique of Practical Reason"
Studies of Kant Index of Passages Cited from "Critique of Practical Reason"